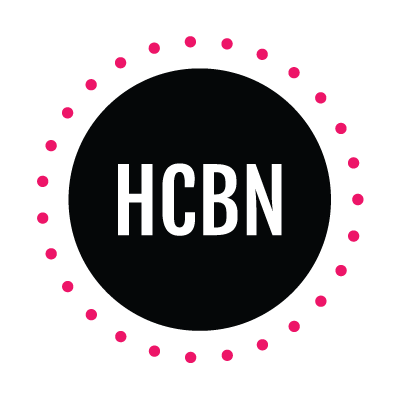 If you missed the Billboard Music Awards or just want to find out what I was thinking during the show, check out this recap of the best moments: 1. #BadBloodMusicVideo: When is ABC going to announce a pilot called Bad Blood? And when is Katy Perry going to get Rihanna and friends to retaliate? 2. Why is this old guy in a golf outfit jumping around on the stage? He reminds me of the drunk uncle at Thanksgiving. 3. Shoutout to whoever just tripped on Chrissy Teigen’s dress for getting their 15 minutes of fame. 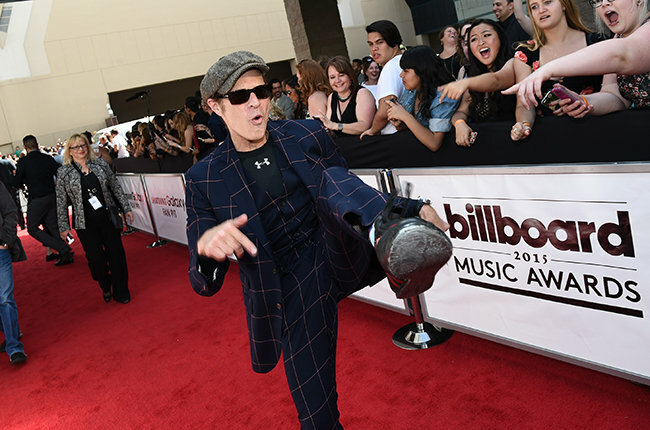 I might steal that move if I’m ever at an award show. 4. 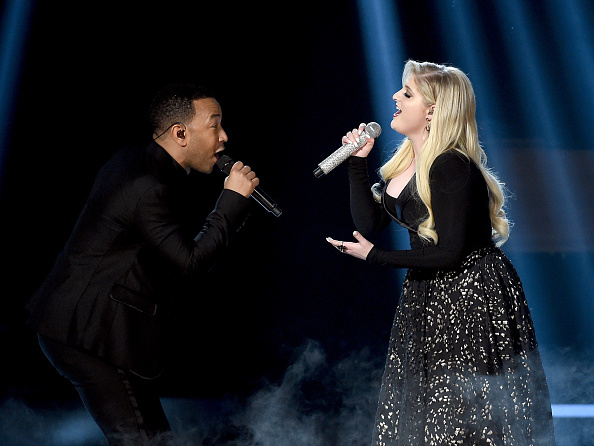 I don’t want to watch Chrissy and Ludacris host this, but I would like to drink with them. 5. 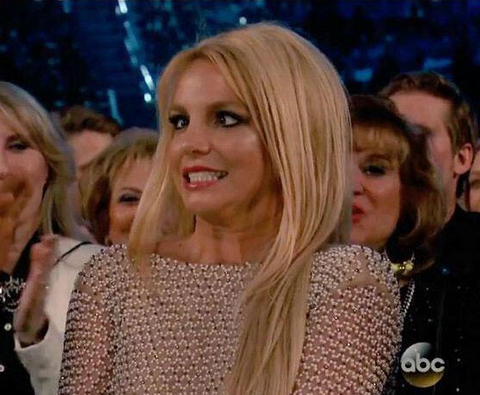 Britney Spears is me trying to focus in class after multiple cups of coffee. 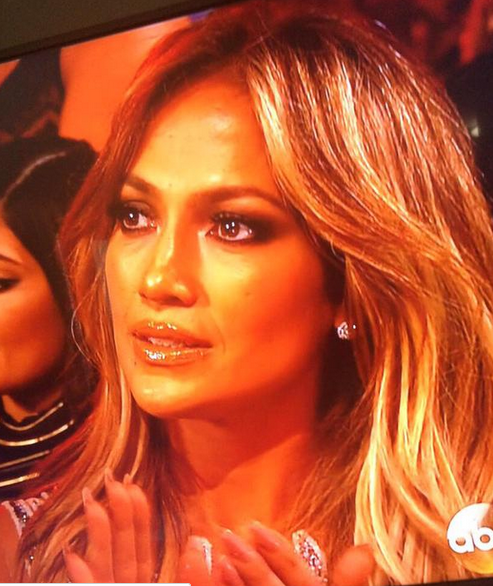 and J.Lo is me trying to act like I don’t care when a restaurant is serving Diet Pepsi instead of Diet Coke. 6. Harry Styles is doing a great job avoiding eye contact with his ex- girlfriends in the crowd. And One Direction just made everyone mourn Zayn all over again. Except Louis. Louis wishes everyone would JUST. STAB. CAESAR (aka Zayn). 7. Calvin Harris is marking his territory on T. Swift. 8. I think this is the first time I’ve ever seen a Fall Out Boy performance without the camera being on Pete Wentz the entire time. Do you think it’s because he had an awkward run-in with his ex Ashlee’s sister-in-law Tracee Ellis Ross and can’t recover? 9. #RealTalk: How has Kaitlyn not killed Britt yet? 10. 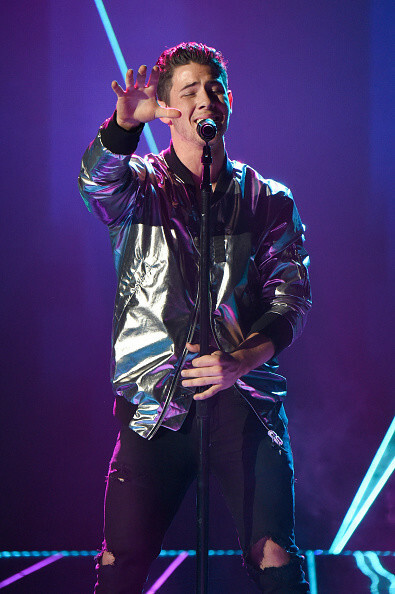 I like any opportunity to celebrate Nick Jonas as the best JoBro (even if he looks like an astronaut in that jacket). 11. I wouldn’t be opposed to a Legend-Trainor presidential run. Or a Christmas album filled with duets (they both have the same effect on my life). 12. Adele Dazeem looks nothing like Idina Menzel tonight. 13. Mariah Carey sounds like a combination of my cat when I step oh her tale and me singing in the shower. 14. I don’t know whether I should cry over this Paul Walker tribute or laugh at Wiz Khalifa’s dancing. 15. Kendall and Kylie look like they are gathering material for the burn book. 16. 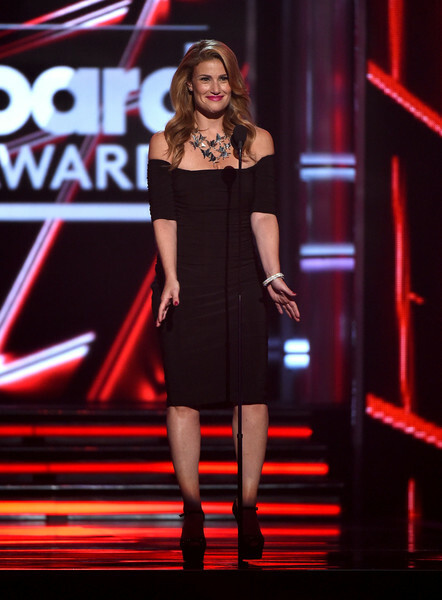 I don’t know if Celine Dion trying to rock that slit or Sam Smith’s acceptance speech was funnier. 17. I could watch John Legend talk about Chrissy Teigen all day. And pretend my name is Chrissy Teigen. 18. Faith Hill’s hair could go. Like at this point she should just shave it all off. 19. DAMN, MEREDITH GREY. DAMN. McDreamy is rolling over in his grave right now (…too soon?). 20. 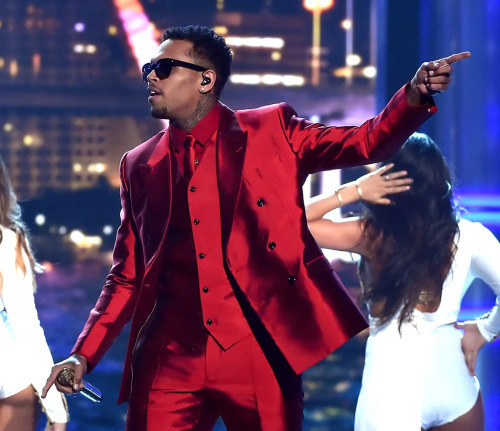 Chris Brown looks a ripe tomato. 21. Rita Ora’s dress looks like it was made by a partially blind Project Runway contestant. 22. Britney is the definition of a cool mom. Like could you imagine her picking you up from school in that outfit? 23. 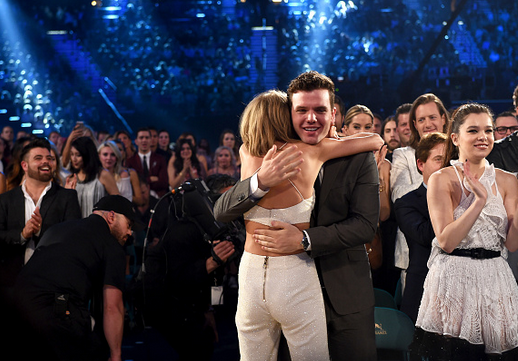 Would low-key do anything to be Austin Swift. 24. I really feel like Taylor might be responsible for Catfish. 25. Nicki looks like a girl who took off half her clothes after she got to the school dance because her mom wouldn’t let her leave the house like that. 26. I can’t even enjoy Tori Kelly’s performance because #WhyHasntScooterDiscoveredMeYet? 27. 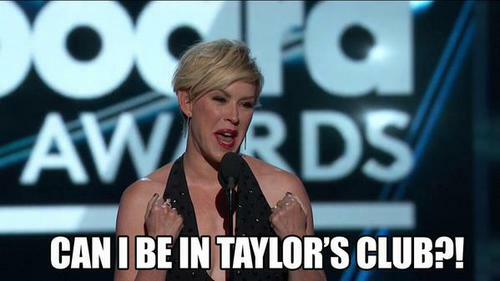 LET MOLLY IN YOUR CLIQUE, TAYLOR! She looks so much better than that last season of Secret Life of the American Teenager. Good girl. 28. Kendall and Kylie got booed and don’t even care because they could make fetch happen. 29. #HelpFindKanye… Actually don’t. This should just end. Bonus: I’ll leave you with this, because it wouldn’t be an award show recap without it.